dejected after conceding" image to lead with. Well, the unbeaten run is over. That's probably for the best; the longer you maintain an unbeaten run, the more likely it is that, psychologically, you'll start to accept draws instead of wins just to maintain the streak. 1-1 against Spurs, 1-1 at United, 2-2 with PSG and there are plenty who thought "well, they're still unbeaten since August." That excuse is gone now. So here's the reality: Arsenal are out of the League Cup, which was probably the best set of circumstances to lose the unbeaten streak, but you'll still get some who bemoan another piece of silverware no longer available. In Europe, they're through to the Round of 16, but will need a miracle and a half to win the group. In the Premier League, they're in fourth. For a 19-match unbeaten run, that's not exactly a stellar set of circumstances. 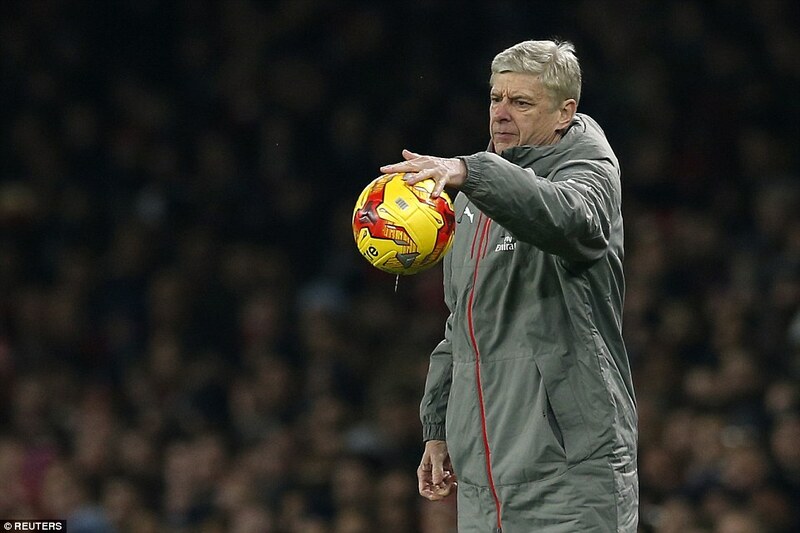 You can't really call this a "must-win" game, since it's only December, but Arsenal really need to win this game. 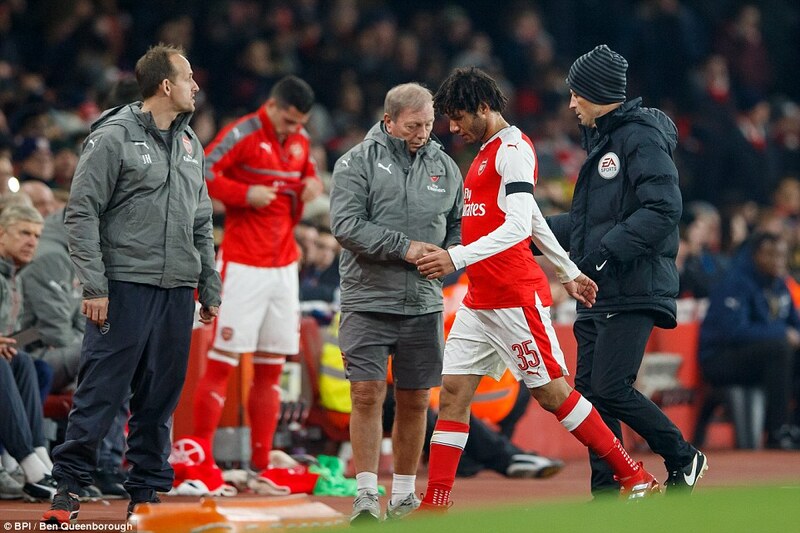 It wasn't a surprise that Arsène Wenger made 10 changes to the side that beat Bournemouth for their League Cup tie on Wednesday; it is a little surprising to find out after the fact that the one player he did not change, Mohamed Elneny, was ill before the match. As a result, he was removed on 43 minutes. That means I'll leave him in the doubts category here. Meanwhile, Wenger was asked about Yaya Sanogo, who has seemingly disappeared off the face of the Earth, and the boss's response was a little unnerving. 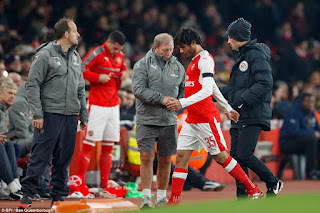 It's obvious that there must be some sort of injury and Wenger mentioned that he's got a calf problem, but then he muddied the explanation a bit, using the following adjectives: real, medical, confidential, not secret, long-term, and not life threatening. My wild guess is that it's something like a blood clot, but I'm not certain why that would be confidential. I can't really fathom why any calf problem would be confidential, unless the manner in which he injured it was weird. Danny Welbeck is back in first team training! You'll recall he's been out for seven months after injuring his knee at Manchester City. There's obviously no way in hell Wenger will rush him back, since Arsenal also have Alexis Sánchez, Lucas Pérez, and Olivier Giroud at that position. Giroud, however, remains in the doubts category after he picked up an ankle knock against Bournemouth. There is bad news regarding Santi Cazorla, however. After Wenger mentioned that he was "stable" but still suffering from inflammation in his Achilles, it has now been confirmed that Cazorla will undergo surgery and miss three months. This is devastating news for Arsenal, as their midfield engine has not been clicking the way it was back in September without the diminutive Spaniard. As for the line-up tomorrow, Wenger will likely go back to what has worked for them in the league (or, at least, kept them afloat while Cazorla remains out,) though there is a pretty big problem developing at right back. I suppose Gabriel will retain that place after he came on for Mathieu Debuchy last week; Carl Jenkinson had a nightmare there on Wednesday. Predicted XI: Čech, Gabriel, Mustafi, Koscielny, Monreal, Xhaka, Coquelin, Walcott, Iwobi, Özil, Alexis. Twinkle toes might start if Andy Carroll doesn't pass fit. Slaven Bilić has played five at the back for much of this season, using three center backs in addition to Aaron Cresswell and Michail Antonio on the wings. The problem is, both Cresswell and Antonio left Wednesday's League Cup tie with injuries. For Antonio, it's a groin problem, whereas the club is a little more optimistic on Cresswell, saying "it doesn't look that bad, hopefully it's just fatigue." With both players being doubtful, Bilić might have to reshuffle his formation a bit, as there's a chance the Hammers just won't have enough wide players to fill the roles. With Carl Jenkinson back at Arsenal, Bilić might turn to a former Arsenal academy prospect at right back, Håvard Nordtveit, whom West Ham purchased from Borussia Mönchengladbach in May. Arthur Masuaku, who returned from a two month absence in midweek, would theoretically fill in on the left. Andy Carroll, who had a hat trick in this fixture last season, has not played since August with a knee injury, but with Diafro Sakho out until January with a hamstring injury, Bilić might be forced to risk him. They could also start Simone Zaza, who is on loan from Juventus; maybe he'll take the world's stupidest run-up for a set piece like he did in the Euros. Elswhere, midfielder Gökhan Töre, whose name is so Turkish sounding you should not be surprised he's on loan from Beşiktaş, faces a fitness test on his thigh injury. His injury term was called 4-6 weeks on October 12, so he should be close, though I've seen some sources ruling him out for tomorrow. Sam Bryam is out with a hamstring injury that required surgery while Reece Oxford is likely ruled out with an ankle problem. Predicted XI: Adrián, Nordtveit, Reid, Ogbonna, Masuaku, Kouyaté, Noble, Lanzini, Ayew, Payet, Carroll. Handball! That's a handball! Referee, come on! 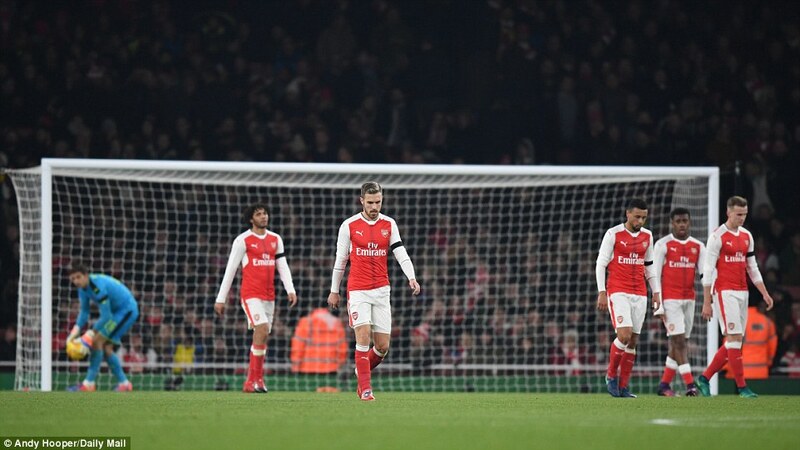 Arsenal's streak, across all competitions, is now one loss, instead of 19 unbeaten. Now, we can only talk about this current run of form as "unbeaten in the league." So, Arsenal are unbeaten in 12 league fixtures since losing to Liverpool on opening day. Still, they have won just one of their last three (over Bournemouth last weekend,) and two of their last five, so it hasn't exactly been smooth sailing, as I alluded to in the opening. These draws cannot be viewed as satisfying anymore, just to maintain an unbeaten run. It's Arsenal's longest unbeaten run in the league since a 16-match run in 2010/11, which also had about a million caveats; after losing the League Cup Final that season, Arsenal drew five of the last six matches in that run before losing at Bolton on Easter Sunday. West Ham also lost in the League Cup on Wednesday, 4-1 to Manchester United at Old Trafford. The Hammers are 16th in the table after finishing 7th last season. Their only home wins in the league have come against Bournemouth and Sunderland. There was a period through September where West Ham had won just once in seven and that was against Accrington Stanley in the League Cup. From there, the Hammers turned it around a bit, winning three in a row across all competitions. But since then, they are winless in five again, though their draw at Old Trafford in the league last weekend feels much more important than losing the same fixture in the League Cup. Laurent Koscielny. 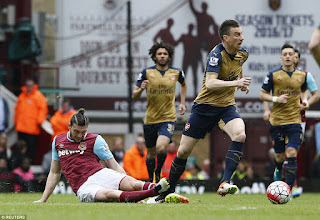 Carroll went on to score three times. This will be Arsenal's first trip to Olympic Stadium. 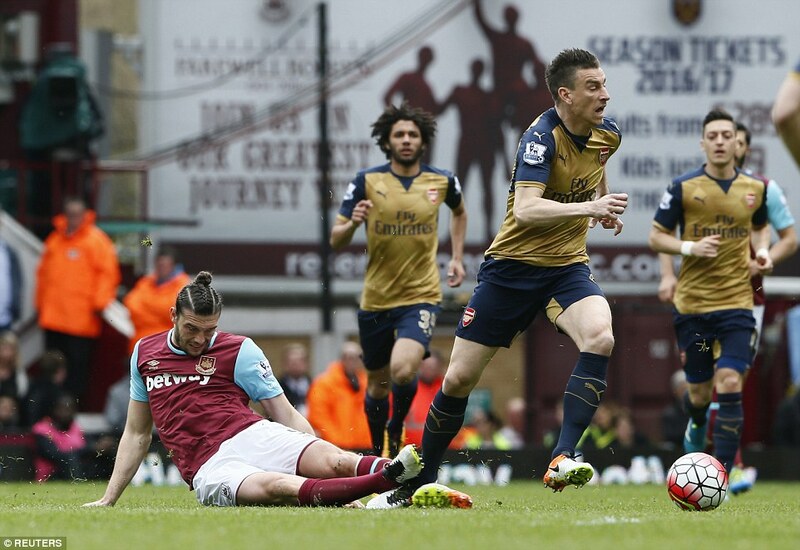 Arsenal finished with an all-time record of 24 wins, 20 draws, and 14 losses at Upton Park in league fixtures. 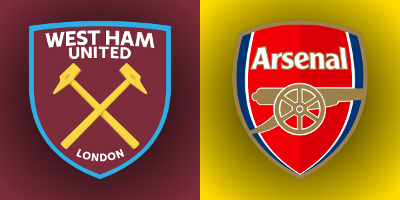 Arsenal took only one of a possible six points from West Ham last season; the only other clubs Arsenal did not take at least two points against in the league last year were Southampton (one) and Chelsea (zero.) In this fixture last year, Arsenal blew a 2-0 lead, then had to come from behind to draw 3-3. 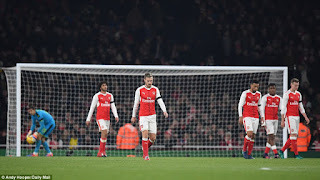 Mesut Özil and Alexis Sánchez had given Arsenal a 2-0 lead by the 35th minute, but Andy Carroll scored twice in four minutes to equalize before halftime, then completed his hat trick just seven minutes after the restart. Laurent Koscielny found an equalizer for the Gunners in the 70th minute. Earlier in the year, West Ham had won 2-0 at the Emirates on the opening day of the season. The referee is South Yorkshire-based Craig Pawson. Arsenal have seen Pawson once so far this year, for the 1-0 win at Burnley that they left a bit late. Many argued that Arsenal handballed that goal over the line, so perhaps having Pawson is a good sign; the Gunners have seen some dodgy decisions go against them in the past few matches. However, West Ham have seen Pawson twice and won both of them, including one of their two league wins at home. That was a 1-0 win over ten man Bournemouth in August, with Michail Antonio scoring in the 85th minute, eight minutes after Harry Arter was sent off for the Cherries. That is, so far, the only red card Pawson has shown this season, over 12 matches. Pawson also worked West Ham's League Cup win over Chelsea in October. 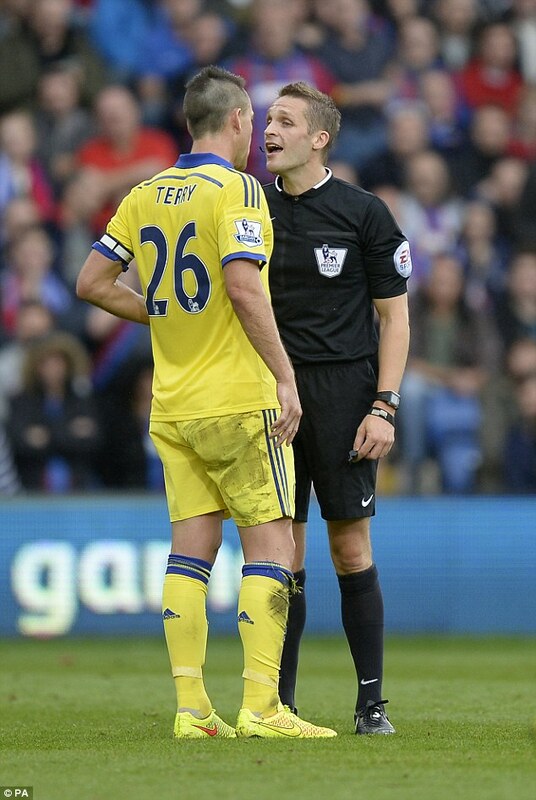 Craig Pawson also worked this corresponding fixture last season, the 3-3 draw in April. John Painting is a contributing writer to the Modern Gooner and a mystical Christmas monster. You can follow him on Twitter @zorrocat, whether you've been bad or good this year.